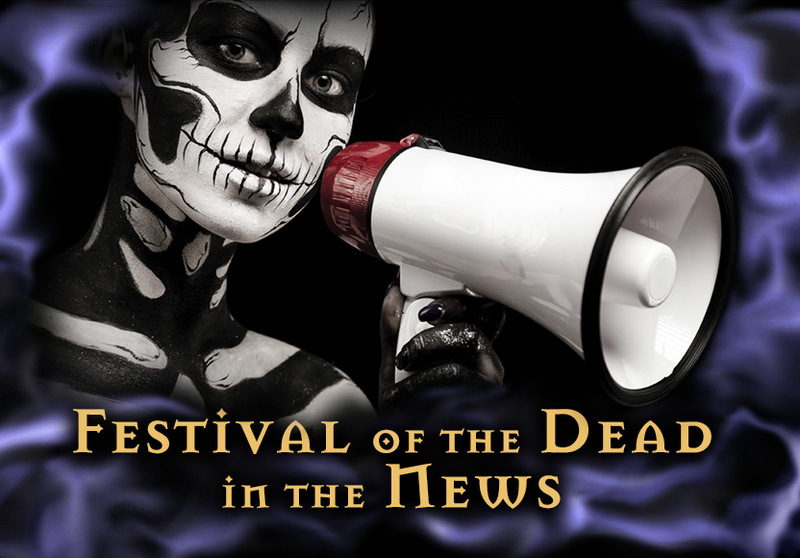 Festival of the Dead - Is anyone there? The New England Ghost Project—hosts of Festival of the Dead's Spectral Evidence: Ghost Hunting 101 appears in the Boston Globe investigating a haunted lighthouse. The day his landlord came looking for the rent, Howard Hobbs was drunk. It was 1896 and Hobbs had been living on a sliver of an island off the coast of Biddeford, Maine, hunting seals for the $1-a-nose bounty the state was then paying. With his work finally done, the 24-year-old had just spent a couple of days with a buddy on a congratulatory bender on the mainland and had rowed his skiff back to Wood Island. When he bumped into Frederick Milliken it was nearly dusk. The rent was overdue, Milliken said. Pay up. Hobbs, still drunk, took exception -- and then, in a fit of pique, he took aim. He shot the 35-year-old landlord and lobsterman once in the abdomen, according to newspaper reports from that week. Horrified at what he'd done, Hobbs helped carry the mortally wounded Milliken inside, then ran back to his rented shack, placed the same rifle to his mouth and pulled the trigger. The bullet passed through his head and lodged in the ceiling. The police called it a murder-suicide. The papers called it a tragedy. But the folks around Biddeford called it just the beginning. If you're quiet enough, they will tell you, and stand very still, you will hear the ghosts of Hobbs and Milliken: Strange voices carried in the wind. Footsteps echoing where there are no feet. Apparitions, quite literally, that go bump in the night. ''There are spirits here," said Teresa Lowell, the wife of a lighthouse keeper. She lived on the island from 1984 to 1986 with her husband and believes she bumped into a ghost in her bedroom closet. ''I know," she said, ''because I felt him." Fast-forward to 2005. The lighthouse keepers have been gone for 19 years. Real estate around Biddeford has skyrocketed and tourism has become more profitable than lobstering. With an effort underway to clean up the island, the Friends of the Wood Island Lighthouse decided it was time to get a handle on these ghost stories once and for all. Enter the New England Ghost Project, an eclectic outfit out of Dracut, that has been on 150 ghost hunts in seven years -- and found evidence of the supernatural in 149 of them. Their mission: to detect and quantify the supernatural. ''Just about everybody has ghosts," said Ron Kolek, the founder of the Ghost Project, which was asked to visit the island. ''But not everyone is willing to talk about them. That's where we come in." With at least six television shows touting the merits of psychics who solve crimes and salve heartaches, ''ghostbusting" clubs like Kolek's are going mainstream. The difference between this latest variation and the spiritualists of yore? The tools of their trade. Cutting-edge ghostbusters today don't use tarot cards or crystal balls, but digital recorders to electronically capture voice phenomena, heat-sensitive cameras to scan dark rooms for paranormal energy, and electromagnetic scanners to detect interruptions in natural energy fields. Not only do ghostbusters believe the equipment can detect the supernatural, but it opens up the field to those who claim no psychic ability. More importantly, it has given the hobby a patina of science. And at least among some, a dose of credibility. In his 30 years in the business of debunking claims of the paranormal, Joe Nickell, a senior research fellow of the Committee for the Scientific Investigation of Claims of the Paranormal credits ghostbusting clubs like Kolek's with fueling the rise in a belief in ghosts. The Internet has connected people like Kolek with interests in the paranormal, creating a growing audience for documentary-style ghostbusting shows. The shows have proliferated across an ever-broadening cable spectrum and in turn attracted more people to the field. The result, said Nickell, is an amplification of the wacky and the unhinged. Claims of the paranormal have grown more outlandish and more mainstream every year since the turn of the millennium, Nickell said. Underneath it all is the growing unease of an unnerved nation reaching beyond science into parapsychology to salve more worldly concerns in uncertain times. It is, said Nickell, a perfect storm. Between June 1990 and June 2005, the percentage of Americans who say they believe in haunted houses jumped from 20 to 37 percent, according to the Gallup Organization. Belief in witches climbed from 14 to 21 percent. The conviction that the ghosts or spirits of dead people can come back in certain places and situations rose from 25 to 32 percent. ''At the end of the day it undermines science and encourages ignorance and superstition," said Nickell. ''These people are at best fantasy-prone personalities, and at worst frauds and charlatans." Kolek, a practicing Catholic, would call himself neither. ''I'm a seeker," he explained. ''And I know that science doesn't have all the answers to my questions." To the lighthouseSo one day earlier this month Kolek, 56, and his crew of ghostbusters, armed with several canvas bags of gear, set out to Wood Island to see what they could find. Their fee: nothing. ''Working for nothing lets us keep our integrity," he said. On board the 20-foot boat that ferried them to the island were Kolek; Maureen Wood, a medium and a mortgage broker from Andover; photographer Leo Monfret, from Lawrence, publisher of the State Line Review newspaper; Karen Mossey, an electronic voice phenomena specialist and a receptionist from Hudson, N.H.; and Dan ''Thermal Dan" Parsons, a Hamilton firefighter and the team's infrared imager. Safely on the island, the crew hauls their equipment a half-mile over a wooden boardwalk past stubby trees and scraggly brush, to the boarded-up, century-old lightkeeper's house. Sheri Poftak, of the Friends of the Wood Island Lighthouse, shows them the way. Other than a few other visitors with the group, the island is deserted. The street lights from Old Orchard Beach across the bay are visible in the distance. Once inside the lightkeeper's house, Kolek sets up a command center in the kitchen, installs surveillance cameras in the four bedrooms and in the glass-encased room that houses the beacon. The cameras feed to television screens in the kitchen, which are equipped with VCRs. The team is in touch using walkie-talkies. A coffee pot is set up in the command center. Taken together, the effect is two parts ''X Files," one part ''Scooby Doo." Like everyone else, Kolek was interested in ghosts when he was a kid, then he grew up and grew out of it. He opened up a small manufacturing plant in Dracut, married, had a family, and went about the business of making a living. In his 40s, he began hearing stories from his employees about ghosts in his plant but he didn't pay any attention; the building was old and he had a business to run. Then one day he looked the wrong way while he was using the table saw and cut off three fingers. Surgery followed and Kolek needed six months of rehabilitation. Suddenly his life was slammed into neutral. He decided to kill the time by signing up for a television production course at the local cable station. The ghost stories his employees had been whispering for years had planted a seed, he said. For his class project, he decided to examine the ghosts inside a reputedly haunted house in Middleton. Did he find any ghosts there? ''Oh, yeah," Kolek said. ''The place was smoking." And the New England Ghost Project was born. To date, Kolek's travels have taken him from haunted houses in northern New Hampshire to basements in Rhode Island. He said he has been ''slimed" in a graveyard in Newburyport (''a black oozing goo on my forearm, I don't know what it was") and he has chased a ghost from room to room in a haunted mansion in North Adams (''It looked like a white shimmering light"). He has seen his tape recorder run backward and watched a crystal crack and turn from a clear pink to a milky white. If Kolek is selling a message, people are buying. He has a Friday night radio show that broadcasts from the Merrimack Valley and just organized a ghostbusting conference called ''Contact" that drew 60 to Western Massachusetts for a weekend. He speaks regularly at the Circles of Wisdom bookstore in Andover. During the day, Kolek is an ordinary salesman at a Macy's in New Hampshire. But on weekends he is, without question, the man with the answers, star of his own show, master of his domain. The spirit movesBack on Wood Island, Maureen Wood, the medium, says her ''third eye is going crazy" from all the paranormal activity. Kolek and his team climb the 44 concrete stairs in the light tower. Halfway up, Wood, a slender woman with a teenage son, begins breathing heavily. ''The energy is so strong here," she said. Kolek and his crew claim to know nothing about the history of the island beyond the fact that it was once the scene of a murder-suicide. But at the top of the beacon in a tiny room encased by glass, Wood reported somberly the presence of a spirit, a man. In the cramped space, with the waves crashing onto the craggy shores 50 feet below, she doubled over and grabbed her chest. His spirit was trying to move inside her, she said. He was cold and clammy, like death. Kolek shouted at the spirit to take it easy. His voice rising: ''Get out of her!" he said. Supernatural afootThere is an often-used maxim to describe faith. If you have it, no explanation for God's work is necessary. If you do not, no explanation is possible. The same can well be said of ghosts. You either buy it or you don't. Either-or. One or the other. In the small glass room, the evidence of the ghosts pervaded the night for those who believe. Kolek asked the ghosts to make themselves known. Mossey diligently taped the answers with her recorder in the silence that followed. From the control room a fifth member of the team -- who asked not to be identified ''because I work in a warehouse environment and it wouldn't be good" -- read the numbers from a thermometer over the walkie-talkie. The temperature was dropping, he said ominously -- a sure sign to veteran ghostbusters that the supernatural was afoot. Kolek asked Wood if the spirit was the keeper of the lighthouse. ''He thought himself a keeper but he wasn't," Wood answered. ''Did you die by your own hand?" Kolek asked the spirit. ''Yes," Wood answered. ''A head injury." ''Did you murder your wife?" Kolek asked. Wood groaned, her voice deepened: ''No, no, I told her no." Wood's gasping became exaggerated. She complained of the cold. Kolek scolded the spirit and again demanded that he leave Wood alone. By the time they made it down the stairs, Wood said she was exhausted. The spirit was too strong, she said. When she tried to sleep later that night she said the spirits in the house ''kept me up all night." Mossey, meanwhile, stood in the kitchen with her digital recorder and played back the recording made in the beacon over and over. The dead used the equipment to communicate with the living, she said. The white noise on the tape sounded ambient, perhaps waves or wind. Mossey said her trained ears were more acute. ''Did you hear that?" She exclaimed excitedly. ''He said, 'I think the shot got them.' "
Poftak nodded in the kitchen. Later she said she thought it interesting Wood came up with the fact that there was a head injury. ''But I'm not quite sure I could say I believe it's haunted," she said. Kolek was less ambiguous. ''Oh, there are ghosts here," he said. ''Can't you feel them?" Poftak said Friends of Wood Island Lighthouse is considering using the information for a fund-raiser in the spring, asking Kolek and his crew to come back up for it. The working title: ''Dining with the Dead."